Mercury Rises was perfect. I'm in love with this book and totally hooked on the story. It was that good I couldn't even pick a favourite character. You need this book in your life, and I need more, more, more! Mercury wants to escape her life (for reasons that become known later in the book). She is willing to work hard to find a world that is for her, but her family are important and want her home. At the start of the book, we get a glimpse of her tasting freedom, but her father is the leader of the country, and his daughter running away is unacceptable. She is eventually found and brought back home. As this story unfolds Mercury realises the world she knows is tainted. Hawk is the leader of a misfit rebel group. He is trying to help the poor and take from the rich; a modern day Robin Hood. Mercury may just be his downfall. She catches him in her house and turns his plans upside down. She's the daughter of the leader he is rebelling against. She's a threat but not in the way he expects. Christophe has been in love with his best friend forever. He is closely entangled with her family and is losing himself in the world of politics. He is an intern to The Five, the leaders of the country. He works closely with Mercury's dad. He knows Mercury better than most but she is slowly slipping away. Can he juggle his career and remind Mercury why they were good together? Hawks misfit crew have mad skills and all have great personalities. From Hackers to thieves they are all loveable in their own way. Even the tough ones. Mercury is naive to a dystopian world. Hawk opens her eyes and now she can't close them. She is a great character. She's young (17) and trying to find her own place in the world. What she discovers is so much more. The love triangle in this book was amazing. I am totally in love with all the corners. My review and the synopsis do not do this book justice. The reason for this is because there are so many secrets in this story I don't want to give anything away. 5+ stars out of 5. This book couldn't have been any more perfect for me. I received an ARC in exchange for an honest review. 5.0 out of 5 stars4.5 Thrilling Stars! I love fairytales and enjoy reading about different retellings. I think they’re creative, entertaining, and so much fun. 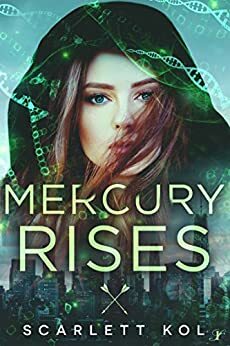 Mercury Rises was no exception and I’m utterly in love with this story. The world building was great, well-developed and absolutely intriguing. The plot was filled with action, mystery, romance, and so much thrill that I had a difficult time putting it down. This story totally made my emotions go haywire and I LOVED IT! Not to mention, there were some nice twist and turns that kept me on my toes. The characters were fantastic. I thought Mercury was frustrating at times, but totally lovable. She was determined, independent, sassy, and strong-willed. Hawk was the kind of hero you root for — smart, resourceful, courageous, passionate and genuinely just a really good guy. Totally doesn’t hurt that he’s handsome and such a hottie too! I definitely fell hard for him and admired everything he was trying to do to save the world from a corrupt government. The side characters were really awesome, interesting and delightful in their own ways… yes even the one that get under your skin and make you furious. The romance gave me the swooniest feels. I’m not usually a fan of love triangles, but this one was pleasantly done. I thought Christophe and Hawk were great love interests. I felt how much they cared about Mercury and my heart definitely got messed up a few times. I wish I could share every scene that made me aww, but I don’t want to take out all the fun and ruin it for you. Just know that there were plenty of satisfyingly sweet, deliciously steamy and wonderfully heartwarming moments that had me swooning over and over again. That being said, I have to admit that I was Team Hawk and rooted for him and Mercury the entire time. Their chemistry was just so amazing that I couldn’t get enough of them. Mercury Rises is an amazing debut novel. 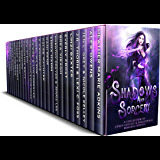 With gorgeous writing, an action-packed and thrilling storyline, beautifully flawed characters you can’t help but root for, and an adorable romance, this book has become an instant favorite of mine. If you want something fun to read that will keep you up late at night, then I think you should definitely add this book on your TBR. I received an advanced reader copy of this book from the author through Chapter by Chapter Blog Tours in exchange for a fair and honest review. All thoughts and opinion are my own.